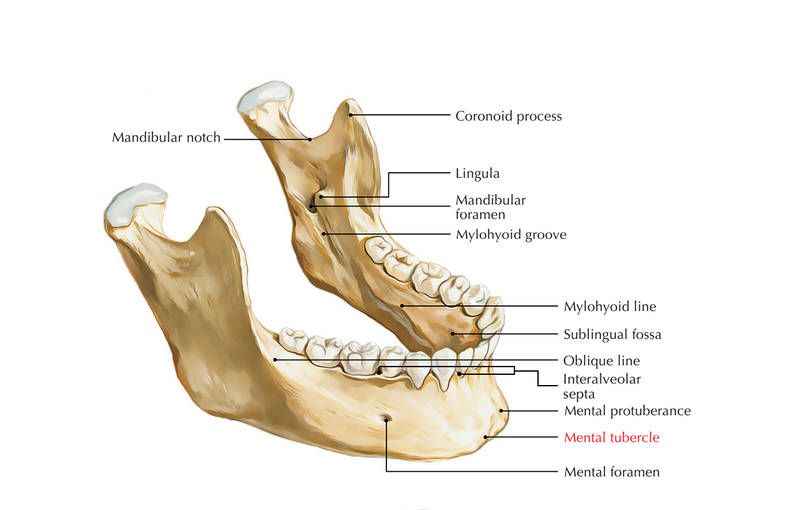 Anterolateral protrusion at each side of the chin or mentum is known as mental tubercle. The inferior angles at the base of the triangular mental protuberance are created by these rounded protrusions. Oblique line is the extension of the anterior border of the ramus, which travels downwards and forwards to the mental tubercle. Symphysis menti expands inferior inside a triangular prominence known as mental protuberance. It creates the point of chin, the base of which is confined on each side via the mental tubercle.